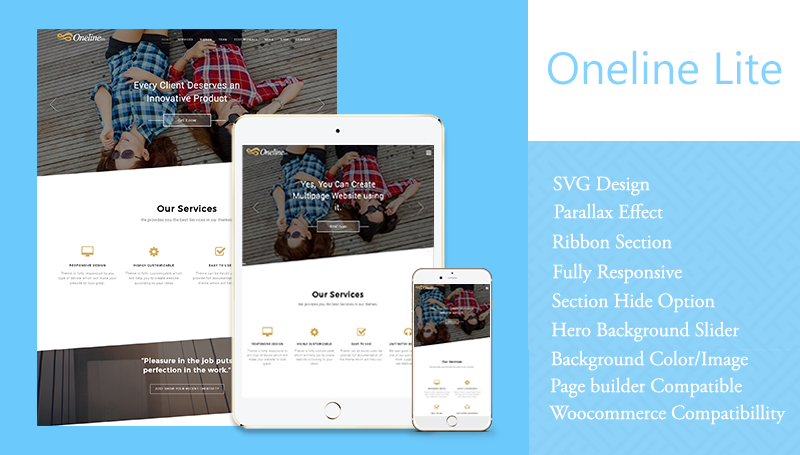 OnelineLite is an SVG designed one page theme. 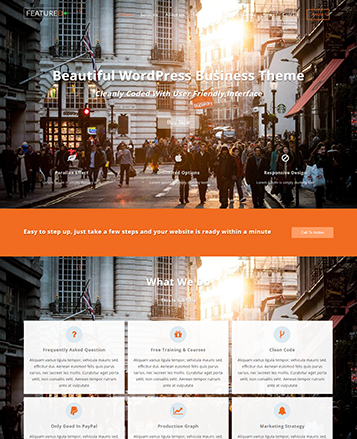 Absolutely jaw dropping theme for passionate website designers with the perfect parallax look. 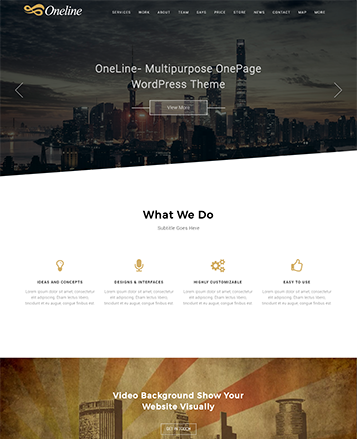 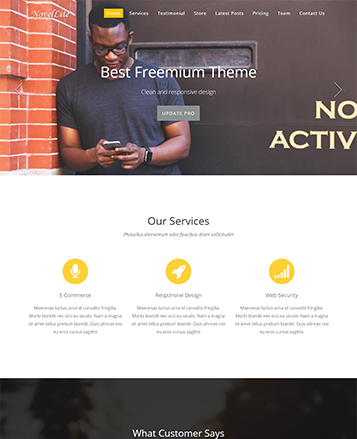 Theme has a background, slider with button styling, section hide option, header setting, fully responsive to every device and so on. 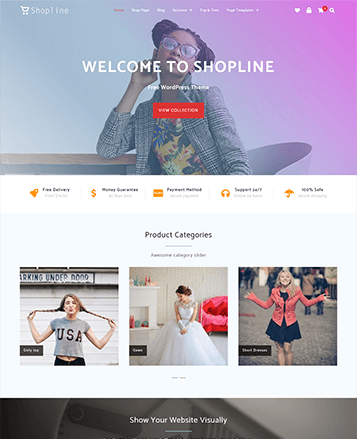 It is fully compatible with WooCommerce and lead form builder is also integrated into it.